It may be that the times we live in have prepared us for this movie. And Friedkin has admittedly given us a good one. I’ve always preferred a generic approach to film criticism; I ask myself how good a movie is of its type. 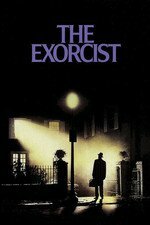 “The Exorcist” is one of the best movies of its type ever made; it not only transcends the genre of terror, horror, and the supernatural, but it transcends such serious, ambitious efforts in the same direction as Roman Polanski’s “Rosemary’s Baby.” Carl Dreyer’s “The Passion of Joan of Arc” is a greater film--but, of course, not nearly so willing to exploit the ways film can manipulate feeling. “The Exorcist” does that with a vengeance. The film is a triumph of special effects. Never for a moment--not when the little girl is possessed by the most disgusting of spirits, not when the bed is banging and the furniture flying and the vomit is welling out--are we less than convinced. The film contains brutal shocks, almost indescribable obscenities. That it received an R rating and not the X is stupefying. The performances are in every way appropriate to this movie made this way. Ellen Burstyn, as the possessed girl’s mother, rings especially true; we feel her frustration when doctors and psychiatrists talk about lesions on the brain and she knows there’s something deeper, more terrible, going on. Linda Blair, as the little girl, has obviously been put through an ordeal in this role, and puts us through one. Jason Miller, as the young Jesuit, is tortured, doubting, intelligent. And the casting of Max von Sydow as the older Jesuit exorcist was inevitable; he has been through so many religious and metaphysical crises in Bergman’s films that he almost seems to belong on a theological battlefield the way John Wayne belonged on a horse. There’s a striking image early in the film that has the craggy von Sydow facing an ancient, evil statue; the image doesn’t so much borrow from Bergman’s famous chess game between von Sydow and Death (in “The Seventh Seal”) as extend the conflict and raise the odds. I thought this was an interesting bit of trivia about the credits: "There are no opening credits after the title. Although it is commonplace now, it was unheard of in 1973." My favorite bit of writing on the film is the last chapter of a book on menstruation written in the 1970s, The Wise Wound. It's been analyzed from the whole monstrous-feminine angle a million times since then, but that chapter is still so totally brash and original and wholly on Regan's side. I would love to put it up here, but I don't have the book any more and can't find the relevant passage online, damn. Anyway, if you're a fan of the The Exorcist, it's worth seeking out. I have this dream to someday write a metafictional book on Regan and Sadako in The Ring and horror characters and gender liminality and adolescence... or at least a Twine game. Who knows if it will ever happen. What it would be is like a doujin where Regan and Sadako are best friends forever and wander around in dreamspace together messing with the patriarchy by projectile vomiting and hacking late-nite TV broadcasts and having really dirty hair. Okay I need to stop spamming this board and go eat breakfast now. I really love this film. It has such a quintessential 70's look and feel. The characters are real and believable. I was in high school when it came out, and still remember the hype and controversy over it. Religious types were up in arms over it. I know the SFX look quaint and crude by today's digital-wonderland standards, and there aren't scenes of extreme brutality, oceans of blood or graphic disembowelments, as seem to be practically a requirement for "horror" these days, but that's why I think it still plays well. It's simplicity makes it accessible and easy to be drawn in. Good movie. Do you know what would have burdened the weirdness of its opening--the excavation, the dig, dude almost getting ran down by carriage, the dogs fighting, the demon statue standoff--with an albatross millstone of exposition? Any other lesser film, that's what. Simultaneously leisurely and economical and confident in defining its characters, setting the stakes, showing not telling. Family strain, sure, but also a loving mother and sweet little mischievous girl. A younger priest whose faith is collapsing under the strain of the world. An elder priest who doesn't fear but knows this is going to kill him. A disintegration of self that still hits like a punch the first time you see Regan in full-on possessed makeup even when you know exactly when it's coming. Just consider how any lesser flick would have made some of the elements exploitative, and marvel all the more. Good damned horror. I hope this is the start of Max von Sydow Club! Hey! BBC America is playing it right now! It's just such a great movie. I'm very picky about horror films -- the few that I love, I really love, but most of what horror fans watch leaves me completely cold. I'm all about the ratcheting psychological tension and I want gore only in carefully crafted and most effective doses. It seems like horror fans enjoy things more the campier and/or slasher they are, and that's so different from my sensibilities. This, Ōdishon, and Ringu are a few of the films that come to my mind for what I want from horror but feel like I rarely get. But, anyway, I first saw this film with my parents when it was in the theaters. I'm certain we watched it at the drive-in movie during that period when was eight to ten years old and I watched a whole bunch of films that weren't age-appropriate for me. (For which I'm grateful.) So maybe my love of this film and that it's never been any less frightening to me on frequently viewings has something to do with my impressionable age when I first saw it. Even so, I think that Ebert's review was correct and far-sighted -- maybe a lot of people wouldn't have recognized that this film and Rosemary's Baby would be iconic and still watched forty years later, but I think the more perceptive recognized this right away. Thorzdad: "I know the SFX look quaint and crude by today's digital-wonderland standards, and there aren't scenes of extreme brutality, oceans of blood or graphic disembowelments, as seem to be practically a requirement for "horror" these days, but that's why I think it still plays well. It's simplicity makes it accessible and easy to be drawn in." I don't know what modern horror films you've been watching, but it's the wrong ones. The two people most responsible for The Exorcist make an interesting pair. Author of the book and screenwriter William Peter Blatty was—and presumably is—a devout Catholic. Blatty believed everything he was putting into the story about spirituality, demonic possession and Good vs. Evil. Director William Friedkin didn't buy any of that stuff, but he rooted the movie in reality and made it believable. I don't think the movie would have been the same, or as good, if they had been on the same side (either side) of that divide. On another note, the part that some people found most disturbing was the hospital test sequence. For me it's there to break down the defenses of viewers like me who side with Friedkin and need a nudge to raise their personal threat level. The religious aspect certainly added atmosphere but the movie is about parents fears for their children for me. It yanks all the chains! A great horror movie. The craftsmanship is superb and Friedkin has never gotten close to anything this good, imho. Whilst the editing often gets its due, I think the sound design can be underrated. It marries so well to the cinematography. Love the use of angles in this movie, lots of shots up and down, slightly off kilter. The other thing I love about it - and the thing I think the vast majority of horror movies fall down on - is the film has a subtext, it's a really simple one, but it follows it through to the end, giving a surface level, narrative conclusion, and a metaphorical conclusion, too. So many horror movies have a great metaphor (ginger snaps, final destination, etc etc etc), but they abandon this metaphor as soon as it's been established. So much of the tension in The Excorcist comes from our fear of its metaphor and subtext, and the film capitalises on it, and then resolves it. A true classic. I saw this film at the cinema when I was 14. It was meant to be an 18 certificate, but a crowd of us from school all got dressed up and we got in without a problem. There was massive hysteria in the UK surrounding this film. The St John Ambulance were standing by in the cinema to deal with people who might faint, and at least three of the group I was with were carrying Bibles, crucifixes or rosary beads to 'protect' themselves. At about the same time we had a talk at school from someone about the danger of the occult and ouija boards (14-year-old girls are nothing if not suggestive and we were always messing about with stuff like that). Anyway, at the time I found the film to be hilarious and the least scary thing I'd ever seen. The only bit that made me jump was when the phone rang. I couldn't understand why everyone was so het up about it. But a few years ago I watched it on TV and it terrified me. I could really appreciate the subtext about the nature or existence of evil and whether 'good' (or God) could overcome this - and at what price. I think what I appreciate is the quiet moments in between the action and the horror, how it builds tension and yet is not at all boring. It's a great film and still frightens me each and every time.